I was thinking about the artwork for Serious and Organised tonight. Cars play a pretty big part in a lot of crime shows so I knew I was going to need some suitable models. 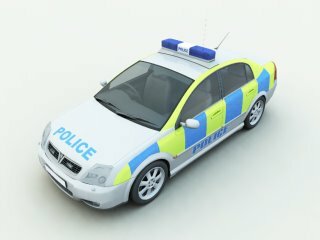 Fortunately a thread on Renderosity reminded me of Design ModÃ©lisation Image that has some very nice free models of vehicles. The picture above is a simple test render in Vue of one of the models.